Exercise: Train yourself not to be overwhelmed by the countless images & videos on the internet of people doing workouts. Not everyone can train like a professional athlete. Take a walk for 30 minutes. Find a yoga video on Amazon. Play a dance video game. Take the time & energy you spend worrying about food & show yourself some love through movement. Think positive: Change your food associations & take the time to get to know the ingredients and food you are consuming. Switch your mindset from “this food is going to help me lose weight so I will look good” to “this food is going to give me the energy I need to be awesome today”. Know what you are putting in your body and make positive associations. Do some work: I challenge you to keep track of your intake for a week and to take it further by noting your mood/emotions before you eat, the time when eating, and with whom you are eating with in your record. Are you feeling hungry? Are you feeling rushed? Write these down. 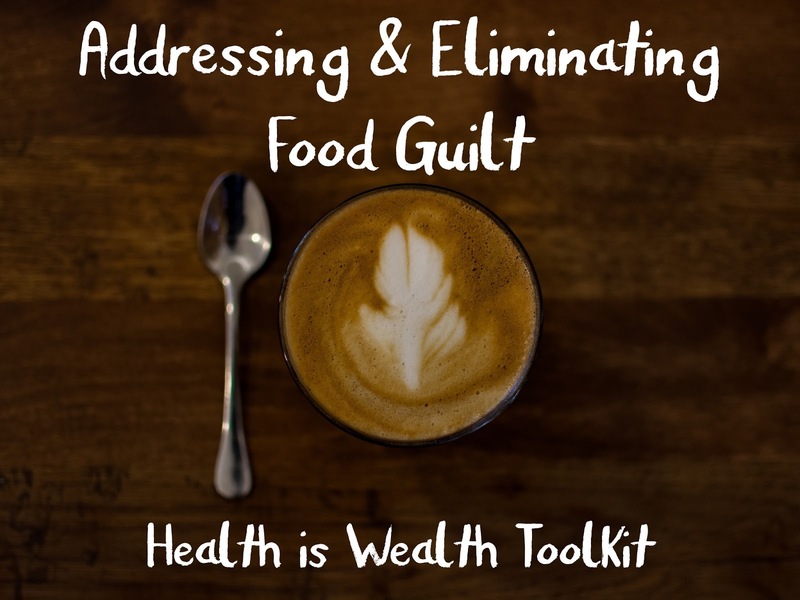 How much time are you actually spending on thinking about the food you are or are not eating? This type of insight may be a good start to breaking the habits that lead to negative self-talk and guilt with food.